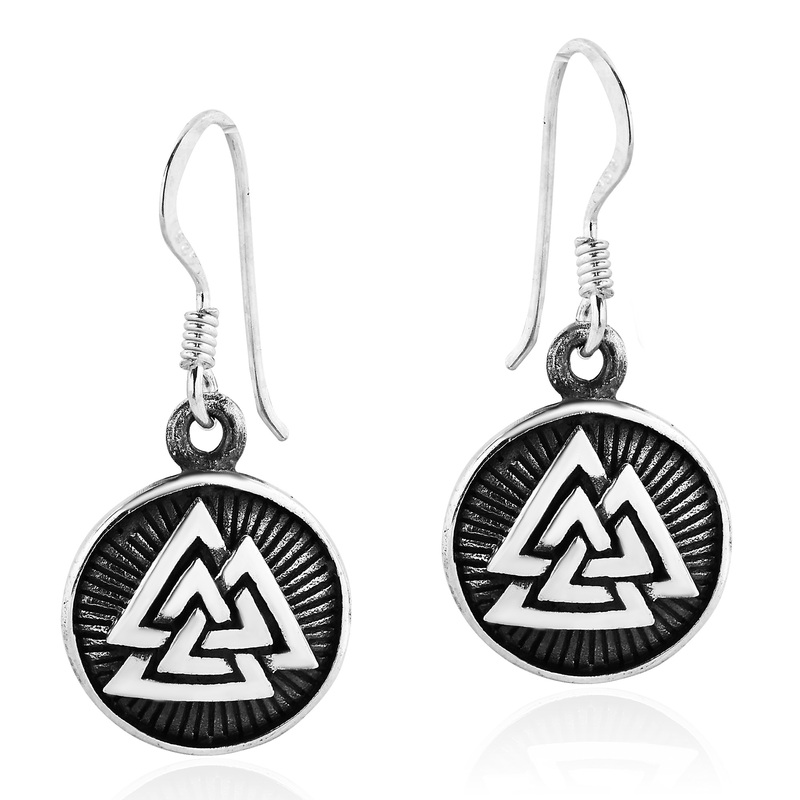 The Valknut is an ancient and beautiful symbol which is composed of 3 interlocking triangles. 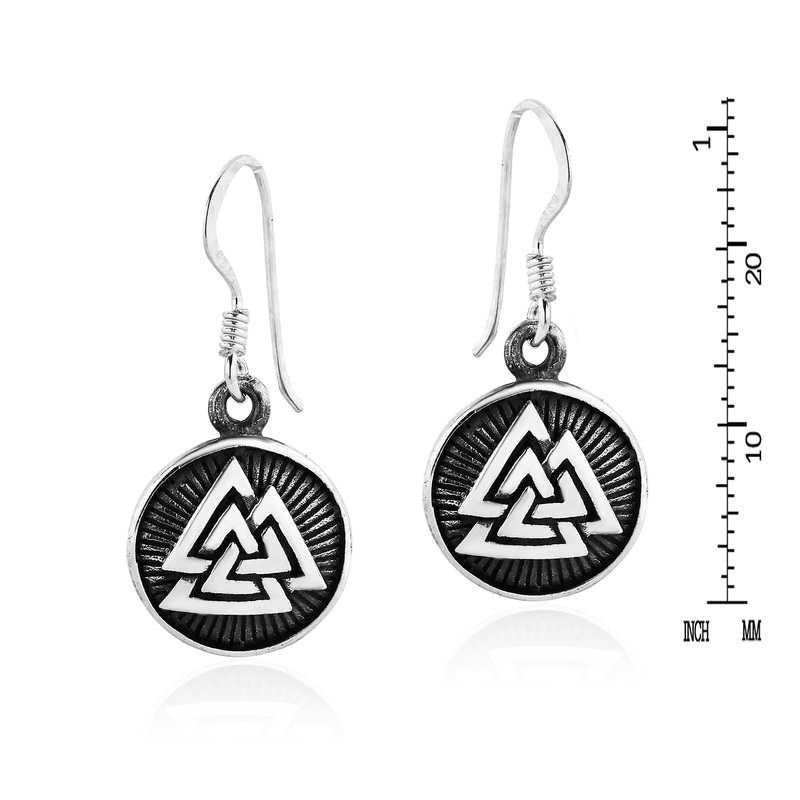 Originating in Norse mythology, the Valknut has come to symbolize those who have fallen in battle, the noble and heroic warriors of Valhalla. 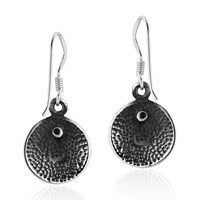 An amazing idea which is the inspiration for these elegant dangle earrings from Thai designer Khun O. 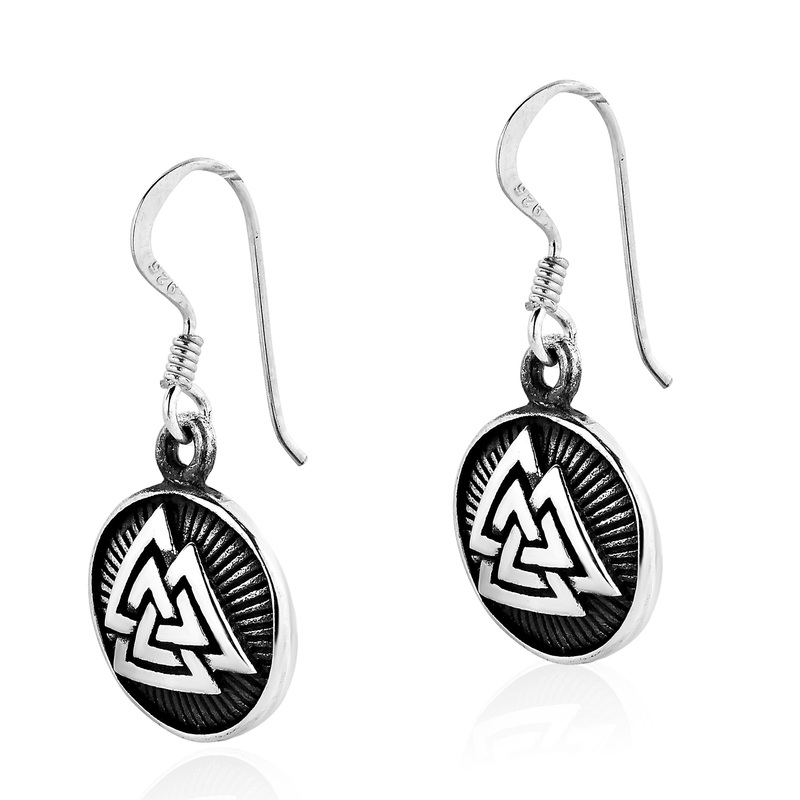 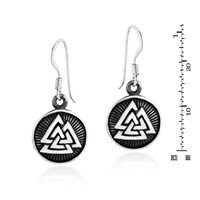 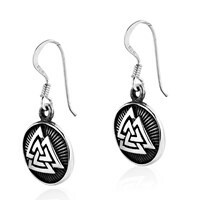 His intricate design features the ancient Valknut symbol set upon a disc of sterling silver. 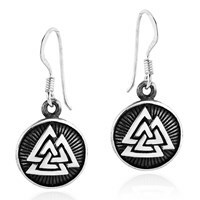 A truly unique and fashionable pair of earrings that are sure to look amazing with whatever you pair them with.